Denis Ballam on She wrote it herself! Denis Ballam on That’s Vika! 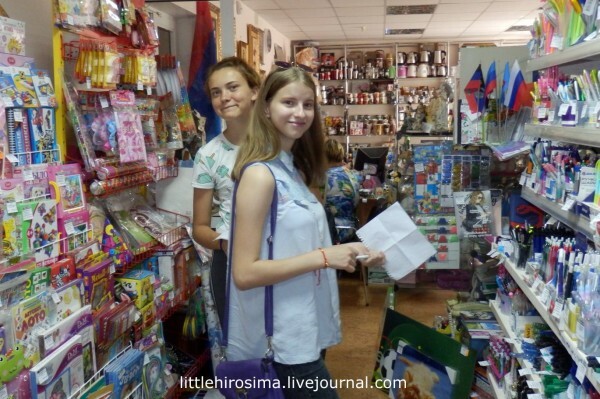 The three kids on the photos below are Roma, Anya, and Katya, all from Lugansk. They have been just diagnosed with diabetes. The girls found out about it in emergency rooms. How is a parent to know what’s happening? The child simply appears weak, listless. That could be caused by a thousand things, including stress which is a normal thing OVER THERE. Many LPR kids have lived through bombings, slept in cellars and heard shells strike neighboring homes many times. And then the kid suddenly loses consciousness, falls into a coma. The newly discovered diabetics are a post-war scourge. Their number is growing, unfortunately. Friends, as you know, we try to help diabetics in the Republics. Insulin is being issued regularly, so far there are no problems with it, thank God. But as I already said many times, it’s hard to get test strips. It’s not even about getting them at the pharmacies. They can be purchased. The problem is that they cost a lot. And they are not issued for free, like insulin. Average LPR salary is about 5,000 rubles. A single test strip pack is 1,300 rubles, and one needs an average of two packs per month. There are great many single grandmothers on the Donbass. One doesn’t want to moralize here, you can do that without me. But it’s a fact–there are many women with children, including with multiple children, abandoned by husbands. And yes, unfortunately, many of these “dads” vanished right in 2014 during the fighting. Of course, these men have their own “truth” which, to be honest, I’m not interested in. They left to get work and then bring family along, but vanished along the way. Or there were disagreements, or he fell in love with someone else. But there’s also a separate category of women who raise women on their own–grandmothers. Usually they are the parents of fathers or mothers who were raising their own kids, but left this world. So these grandmothers, many of whom are disabled, are left raising their grandchildren. Many of them can’t work anymore, but the kids have to be fed and clothed. That’s how it is. There are many like that among the people we care for. There’s nobody else to help them. And it’s sad when you see elderly people with very young kids. 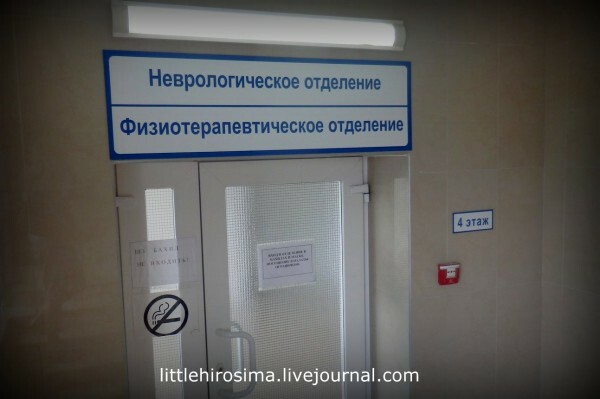 Taisiya Ivanovna is once again in hospital. She was taken there right from the neuro-pathologist’s office, where she was on a routine visit after the stroke. Her right side started to go numb. So she was taken straight from the office to the hospital ward in the midst of an episode. More medications, more tests. She’ll be there for two weeks, then the doctors will decide. Our Zhenya persuaded the doctor who saved him and Lena in 2016 to look to Taisiya. You remember, I wrote back then the two of them found themselves at the hospital practically at the same time. 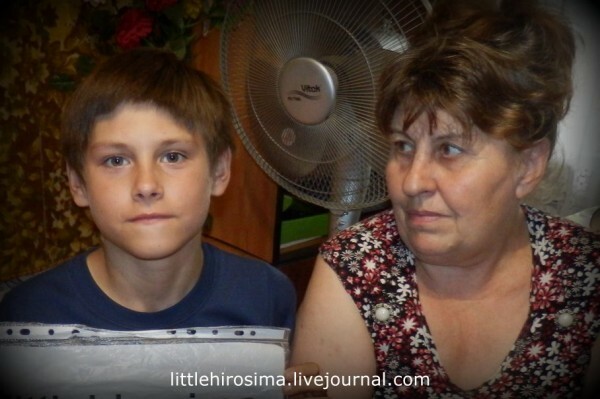 We started to help Taisiya and her grandson only recently. Sasha’s mom and Taisiya’s daughter died from a shell fragment which cut open her belly right in front of the boy. She was hit in 2014, but she suffered for two more years with mangled stomach and intestines which the surgeons had to put back together in primitive conditions at the hospital with no electricity. It’s still summer, but the fall will be upon us soon, which means not only yellow leaves but also school. Which in turn means notebooks, pens, backpacks, and all kids of other stuff kids need. And yes, kids in LPR/DPR also go to school, attend after-school clubs, and they need all that very badly. Maybe even more than our kids. Have you calculated how much it costs to prepare one school child for September 1? These children are not simply children. They are children of war. They live in a different reality and for many of them colorful markers, pretty erasers are a source of joy so great that it’s hard to believe in our reality with prosciutto and i-Phones. So Lena and Zhenya carried out “Operation Y” [a reference to a famous Soviet-era film] to collect school supplies for the people we care for. But unfortunately we were not able to collect enough for all. Especially for those families for whom we are making separate collections and the particularly needy ones–you know them all well. We really want to help both. Last year we and you were able to collect many school kids for children whose parents are on the registry at the Lugansk Aid Center. These are foster kids, families with many children, single moms, disabled kids. We want to help as many kids as possible!!! So I’m calling on you to join in this effort!))) Come on board! If you do, please label your contributions “school”. And you must see the photo report on what we’ve bought so far. Just look at how improbably happy they are!!! Lena and her parents and kids went shopping and picked out everything. So the boys and girls got to pick the color of their notebooks, backpacks, pencils, paper, everything they needed. Lenochka, you and Zhenya are totally awesome!!! It’s so good to have you with us! Thank you! This is Vika and Alyona. It’s so unexpected to see them together on the same photo, after all they’ve never seen one another. Sasha looks like a hero from Gaidar’s tales. Or perhaps not Gaidar’s, but there is something about him that’s positive and attractive. The pressed lips, the modest but penetrating gaze. A beautiful boy with a terrible fate. Sasha lives in Lugansk with his grandmother Taisiya. His mother was wounded by a shell fragment in 2014. 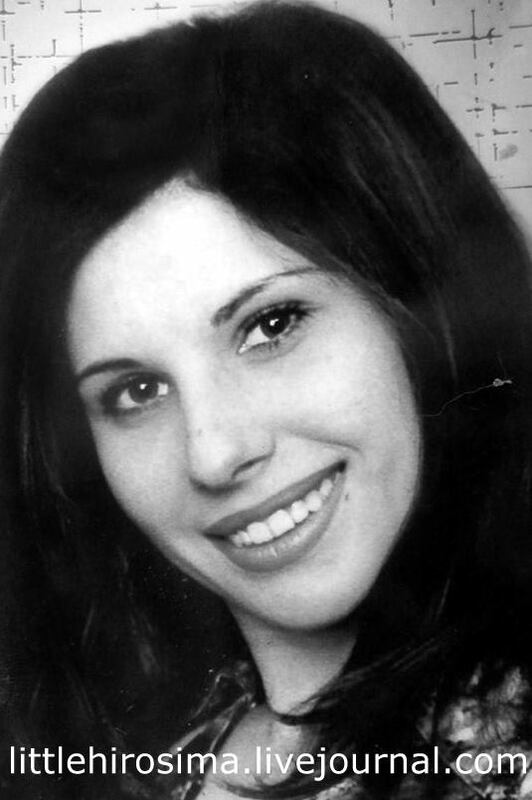 They managed to put her entrails back together at the hospital, but she died two years later. He hasn’t seen his father for many years but he has not formally abandoned him and is not about to. Therefore Taisiya cannot obtain any child care benefits. She herself was in a hospital not too long ago following a stroke, with two days in intensive care. Taisiya Pavlovna went to wash floors in the neighboring stairwell. 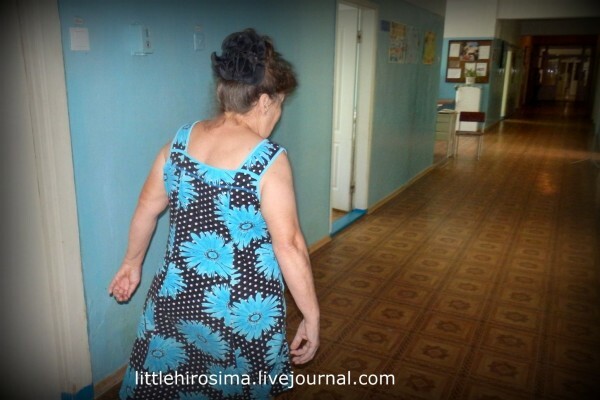 She had no money, the tiny Lugansk pension is not enough, and she also has to feed her grandson who lives with her. Neighbors pay her 400 rubles a month for this work, supplementing her tiny budget. The day was hot, very much so. The Lugansk heat can be treacherous. This is one of the hottest steppe heats there is. On that day it was 45 degrees Celsius in the shade–or about 120 Fahrenheit. She went home right after washing. She felt fine, only a little uneasy. She laid down in her apartment, closed her eyes, and woke up naked surrounded by whilte walls. And butterflies before her eyes. She spent a day unconscious in intensive care. She was saved by her grandson Sasha. Another hour and she’d have been past saving. But the boy felt something–he came home earlier than usual and found her unconscious. Anya came under fire during the summer of ’14 when she was on the way to her dacha near Lugansk to dig up some potatoes. She lived in a five-story apartment block and hid in the cellar with broken plumbing during shelling. Shops were closed, there was no electricity or phone service. The city was in isolation. After the city was being “executed” using all manner of Ukrainian artillery, Tanya’s, her son’s Sasha’s, and her mom’s Taisiya Ivanovna’s money and food ran out. They held out as long as they could, it was dangerous to go anywhere. The dacha was about 1km from where “their”–Ukrainian–positions. August 26 was surprisingly quiet. The woman and her son managed to dig up potatoes before the shelling started. Actually, it wasn’t really shelling, just one shell. Its fragment cut open Anya’s belly and her entrails fell out while her 8 year old son watched. The girl was conscious the whole time. The boy screamed the whole time “please help, they killed mom!”. A guard came running in response. He collected the entrails as best he could, put them back inside, wrapped it all up with plastic, and took to the hospital. She survived and, suffering from extreme pain, she lived for another two years while constantly taking strong pain medications.